and buy domain before someone else does. Own Your Domain | Book Your BRAND now before its too late! - Starts Just @ € 12.99* /yr. Due to registry restrictions, WhoisGuard cannot be used with .asia, .bz, .ca, .cn, .uk, .co.uk, .de, .eu, .in, .me.uk, .nu, .li, .ch, .fr, .sg, .com.sg, .org.uk, .us, .es, .com.es, .nom.es, .org.es, .com.au, .net.au, .nyc or .org.au domains. Mark you presence with unique domain name if you don`t have one. Search suitable domain name and purchase in single click, or transfer your domain to us. We have secure and reliable servers providing high-performance hosting from just € 2.99 /Month. View our Shared Hosting Plans. Create personal BRAND of your business. We provide FREE tools and apps for crafting a pro website to start winning business growth. ScopeHosts has partnered with cloudflare, which provides robust and reliable DNS service across a global network of DNS Servers. Along with Domain registration you can choose Free Cloudflare DNS service addon. Managing Domain now is easy with our collection of features included in one panel. You can now have straightforward controls like Nameserver Registration, Domain Forwarding, Domain Lock/Unlock, Get EPP Code, Domain Parking etc. We have domain experts team, providing 24/7 support regarding all your domain queries. No robotic answers and real-time solutions provided. We have made managing of domain easy for you. 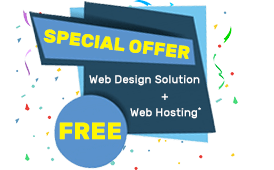 * FREE Domain and SSL is for Annual Subscription Of SH-Pro Shared hosting Plan Only! Ans: A Domain name is unique web address given to each registrant. A domain name is the key for doing business around the world through Internet. Like we have www.scopehosts.com! You can purchase one with your business name or key term representing your business. 2. What can I do with a domain name? Ans: Domain Name is a gateway for your online presence. You need to purchase a domain name with Top Level Domains(TLD`s) like gTLD`s(Generic Top-Level Domains) and ccTLD`s(Country Code Top-Level Domains) for your website, blog, business or online portfolio. With own domain name, get own domain-based email accounts for your site visitors will be able to contact you easily! 3. What domain name should I register ? Ans: You always need to keep in mind, choose domain names Short, Sharp and Easily to remember for visitors visiting your website. Ideally it should be brand of your business and try to include your business name in your domain name. 4. How can I register a domain name with ScopeHosts? Ans: Registering a domain was never been so easier. Simply you need to just enter the domain name in the above search bar and click “Search Domain” button. Within few seconds, if your desired name is available and how much registration will cost is displayed. Ans: DNS or Domain Name System maps the domain name used to locate a website by a visitor to the IP address that a computer uses to locate a website. 6. What is the process of domain name registration? Ans: After you have opted the unique domain Name for your business, you have to submit the domain name to domain registrar. For more details on the process of domain registration just read this article. 7. What is domain extension? Ans: Domain extension is the part of domain name. This extension follows the Name Part of the domain. For instance, in the domain scopehosts.com , the .com is the extension. Domain extension include top-level domains and sometimes a second-level domains as well. 8. What does Top-Level Domains include? Ans: Top-Level Domain includes Generic top-level domain, Generic-Restricted top-level domain, Sponsored top-level domain, Country Code Top-Level Domain and Reserved Top-Level Domains(reserved by Internet Assigned Numbers Authority (IANA)). 9. Do I get Free Domain? Ans: Yes, we provide free domain registration service only if you have chosen Shared Hosting Pro Plan on an annual subscription basis. 10. What control panel do you provide? Ans: We provide cPanel access to manage your domain activities such as managing cnames, DNS records and more. 11. How do you provide support? Ans: Our support experts are available 24/7 to resolve your queries. We provide support through Live Chat, Skype, Ticketing System, Emails and Phone Support as well. Just give a call us at +91-0836-425 4321. 12. Do you provide money back guarantee with this service? Ans: No, with domain service we do not provide moneyback guarantee. For more details you can contact us. 13. What is IP address? Ans: Internet Protocol Address or IP Address is a string of numbers used to identify a device or computer connected to a network. 14. Who is a domain registrar? Ans: A company or an organization providing service to individuals or business firms to own particular web address or domain to get identified online. 15. How can I renew my domain? Ans: You have to renew the domain before your domain expires. The updated domain renewal prices will be available in your control panel. 16. What is a URL? Ans: A URL or Uniform Resource Locator is used to locate a resource on the world wide web. URL is a string of characters for identifying a resource on the network. A typical URL has the form, https://www.domainname.com . 17. What is a nameserver? Ans: It is a web server that contains DNS software installed on it. It is specifically a server managed by a web host who are responsible for managing the domain names associated with their hosting service. Nameservers are also called as DNS server. Ans: You always need to keep in mind to choose domain name that will be Short, Sharp and Easy to remember for visitors visiting your website. Ideally it should be brand of your business and try to include your business name in your domain name.